Holland America should have told passengers about the Veendam's horrible condition before departure. There should be NO REQUIRED set gratuity amount and no hotel tax! Background music not suitable for elderly people. Visa for Cuba should have been paid by Holland America. Dinner menus were too European style. I would not sail on the Veendam again. Too many issues with the ship. We had "dine as you wish" instead of a reserved time in the dining room and had to wait for seating. Very difficult to get timely reservations for dining room on "surf and turf" nights. Who wants to eat after 8pm? Food in buffet so-so. Entertainment so-so. Cabin I would rate poor due to multiple plumbing issues and being awakened early due to engine noise multiple times when docking. Mostly older people-- many with disabilities that needed lots of assistance from staff and that slowed everything down-- getting in and out of tenders, etc. Too much emphasis on buying overpriced goods on the ship and in every port. 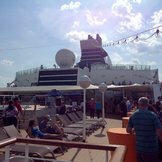 This was our second Holland American cruise-- would have to think long and hard before I would cruise with them again when there are so many cruise lines out there. Great cruise but after 11:00pm the ship is dead. The food was very good and the buffet was well laid out and much better that it was served by the kitchen staff. They need to employ more people. They were definiatly under staffed. This was our first cruise, and some things exceeded expectations, while others were a miss. I was worried the ship would be feel crowded, but it wasn't. There was plenty of space to escape, whether walking around the decks or sitting in the various lounge spaces. We actually enjoyed relaxing in our cabin! What missed expectations was the lack of any local cultures or food....that's the best part of travel. The cruise was just an extension of the USA on water. That said, once we relaxed into the pace, the cruise was very enjoyable for what it was. Overall a good time was had by the seven of us traveling. I still like Holland best among the cruise lines although Carnival is a close second, with them buying out Holland perhaps it will get even better. We traveled with another couple. Enjoyed the Veendam and the ports. Our weather was not good, but we enjoyed the entertainment, etc on board. Loved the Cruise Director Becca Newton. Enjoyed Team Trivia. Enjoyed the Lido Market for most meals. Breakfast in the Rotterdam Dining Room was especially nice. I don't think I would ever do this cruise again. It is just too hit and miss as far as seeing the fall foliage, and the weather can be suspect. We were not able to visit Prince Edward Island due to weather, which was the one stop we were really looking forward to. I love this cruise especially my first time do river cruise. All the staff are super good. This cruise was very enjoyable. The food was beyond our expectations and the crew was friendly and attended to every request. The ports of call were very interesting and the tour guides were very knowledgeable. dinner in the main dining room was ok but not great. Wine offering was fair. Beverage package was very expensive. Ship is very dated. AC did not work well. Not much entertainment. Bars were closed by 9:00 every night. Nothing going on on the pool deck. Food was phenomenal and service was awesome. We usually cruise NCL so we are used to everything being open at night and having entertainment on the pool deck. This ship is definitely lacking. Being in Hamilton for three full days was awesome!! Food running out at buffets Running out of alcohol (Heineken for one) Lack of knowing how many drinks we had throughout the day with the drink plan - had to go to desk to find out Poor quality food Lack of food after 8:00 at the buffet Pizza closing at 8 pm. Pizza was bad, but it was better than nothing. Dive-In closing at 5 p.m. Lack of staff to wait on people by the pool Lack of staff to pick up dirty tables and re-set Boat is old and shows it. The ship set-up is odd, have to walk through buffet to get to the pool. I am sad that this is the end of an era! Holland America will no longer cruise to Bermuda. Very sad! This was the best itinerary for Betmuda. Docking in Hamilton is awesome! Now the only thing left is mega ships at the Dockyard! Time to stay home! We enjoyed this cruise. Customer service excellent as staff runs the extra mile to help you. This was my first cruise and it exceeded my expectations. The service was excellent and genuine. 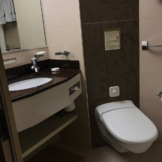 The staff was very hard working and accommodating. The food was so delicious and wide variety as well. The chefs really put a lot of effort into it. From breakfast to dinner, there was a wide range to choose from. I felt like I was fine dining every night. There were also hand sanitizers available at every dining entrance. 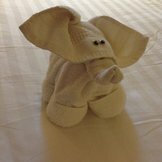 The staff were continuously wiping down the handrails of the ship and frequently cleaning our stateroom (usually twice daily). Entertainment, gym access and library were wonderful for us as well. I had no complaints at all. I plan to travel with Holland America in the future.